Spring came around quick this year and it came with a whole load of great Netflix shows and movies too! 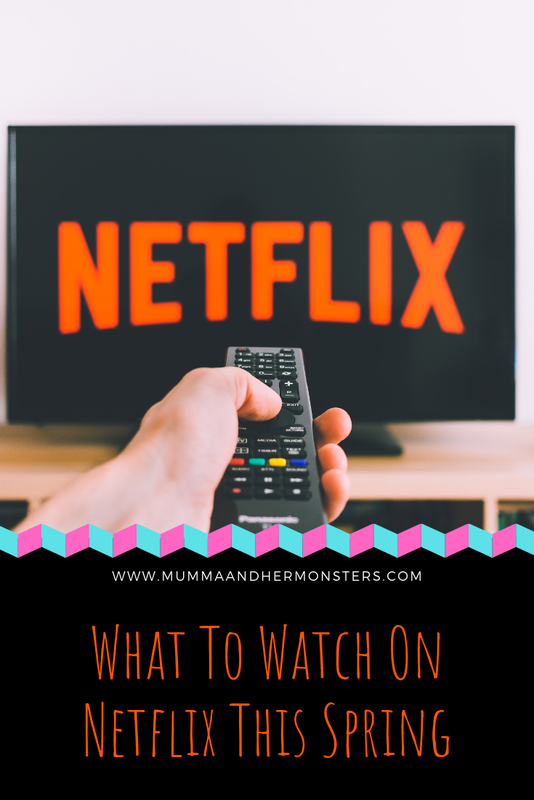 From Sabrina to Trolls we have made the ultimate list of what to watch on Netflix this spring for you and your family! So turn on your Panasonic OLED TV, relax with a cuppa, blanket and popcorn and get your binge on! First up has to be HOP! It's a great family film and so much fun for the little ones, Its easter themed and will definitely get them excited for the Easter bunny! For the little ones again we have the NEW Super Monsters Furever Friends, Jump back in with Cleo, Lobo and the whole gang for this amazing springtime adventure. Chilling Adventures Of Sabrina- A rather dark spin on what us 90s kids grew up to love, Sabrina is a 2014 American comic book series published by Archie comics that's now a rather fantastic TV Series, Watch part 1 and 2 Now! Dear John- One for the more mature adults- Based on a true story Dear John is very addictive and nerve-wracking. Jurassic Park Trilogy- New to Netflix this month we got not one but three Jurassic Park films, great for any family movie day! Twins - Set in the 80's Staring Danny Devito and Arnold Schwarzenegger himself, Twins isn't one to be missed! The Lorax- Who doesn't love a good film based on a Dr.Suess book?! Well, I do and this is just perfect, a few songs, a great story and a great moral too! perfect for a family film day! Kevin Hart- Irresponsible - The NEW 2019 stand up comedy from Kevin Hart is bound to have you in stitches the whole time plus there's always 3 others that you can watch after if you just can't get enough!!! Trolls- The beat goes on- A new season of the trolls series has just arrived on Netflix that's 6 whole seasons to keep those little ones entertained! Join Poppy, Branch and Guy Diamond in their awesome adventures!! That's my top 10 movies/ shows for this spring on Netflix make sure you let me know what you're going to be watching this spring! 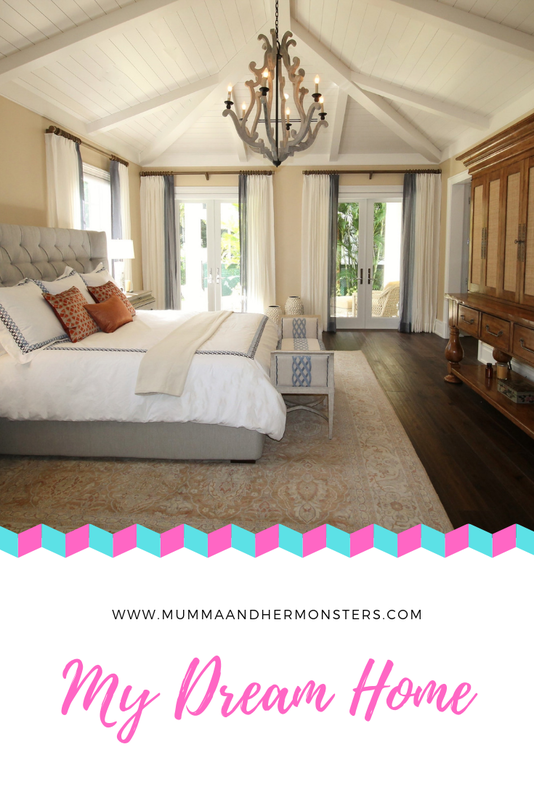 Everyone has a dream home, I certainly do, you know, when you get your perfect house and you can just imagine what everything is going to look like, well, I'm going to walk you through what my dream home looks like and give you some great ideas for yours! First, we'll start with bedrooms, I'd love a 4 bedroom house with fluffy carpets, I currently have hard floors and it's so cold first thing in the morning! One bedroom would be for myself and my husband with a luxury kingsize bed and TV, one for the boys decorated like toy story and one for the girls decorated with unicorns and lots of pinks! The fourth bedroom would then be my office! I would have 2 bathrooms, one upstairs and one downstairs, one would be a wet room with a power shower and a luxury bath in another. 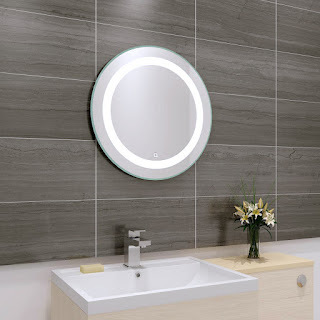 Both bathrooms would have a heated towel rail and LED mirrors. My office would have a cubed storage wall, a pc desk with a shag pile rug in the centre for tasteful decor. My office would be painted white a grey chevron and have lots of photos hanging on the walls. Next would be my kitchen, I'm more of a baker than a chef so the kitchen is my husband's place, he would love a marble countertop with a kitchen island for the cooker and a place to eat. I'd have the kitchen a lime green and charcoal colour and white lines to really make it pop. I'd love to have a laundry room with a washer, dryer and space for an ironing board plus plenty of storage. This room would then have a door to the garden which would have a patio with a firepit and rattan sofas, a ground level trampoline and a swimming pool for the kids. Oh, and don't forget the master chefs BBQ!! Lastly would be the living room, my most favourite place in the house, I would have a very large corner sofa with a 60" OLED telly on the wall with grey walls and a feature wall of pink flowers. I would have a ton of cubed storage and a lovely fireplace to snuggle up to on a very fluffy rug! 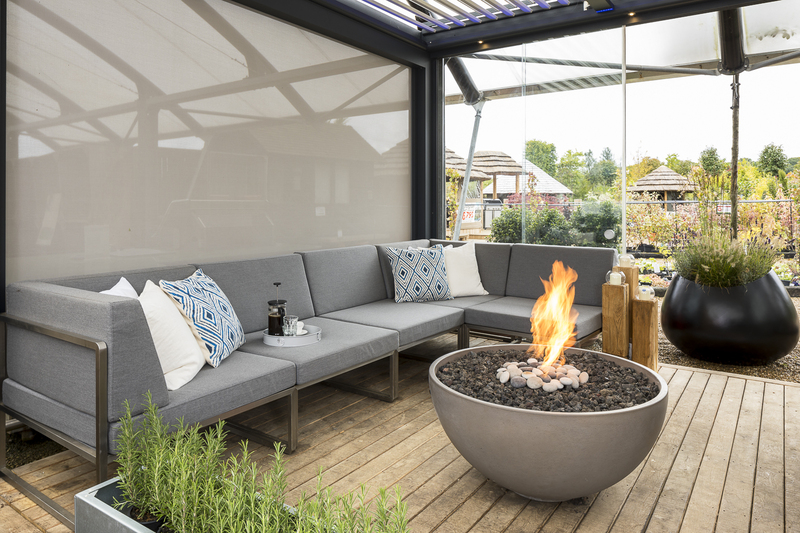 Let me know in the comments what your dream home includes? 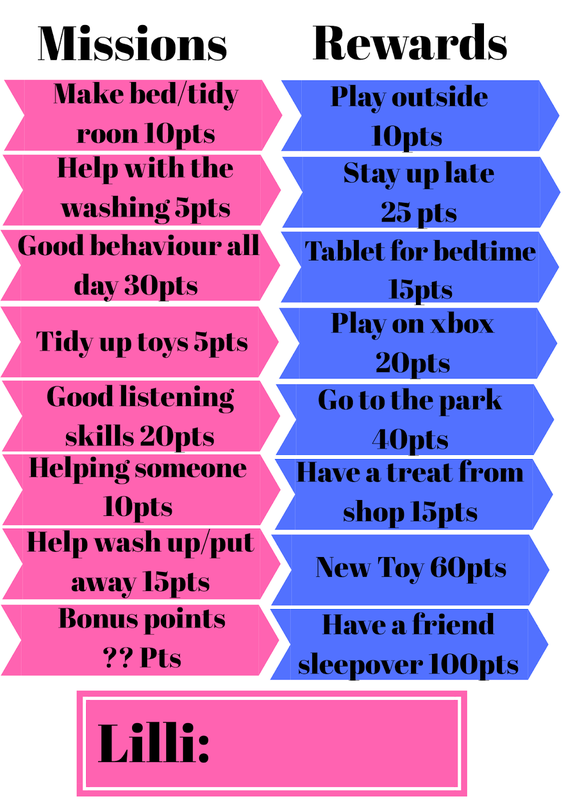 My daughters now at that age where I think she should be helping with chores, She is now 6 and can easily help me around the house and actually enjoys it, I personally think we should all pitch in being a family unit and Olli (whos 2) even helps tidy toys and help with washing etc. 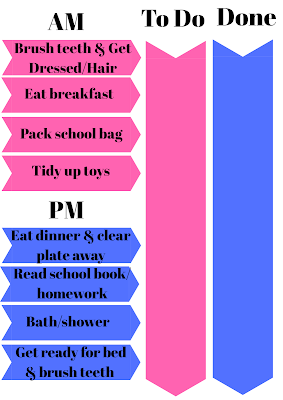 I made Lilli these cute little charts to help with her chores and will have them laminated and stuck on the fridge to help her. 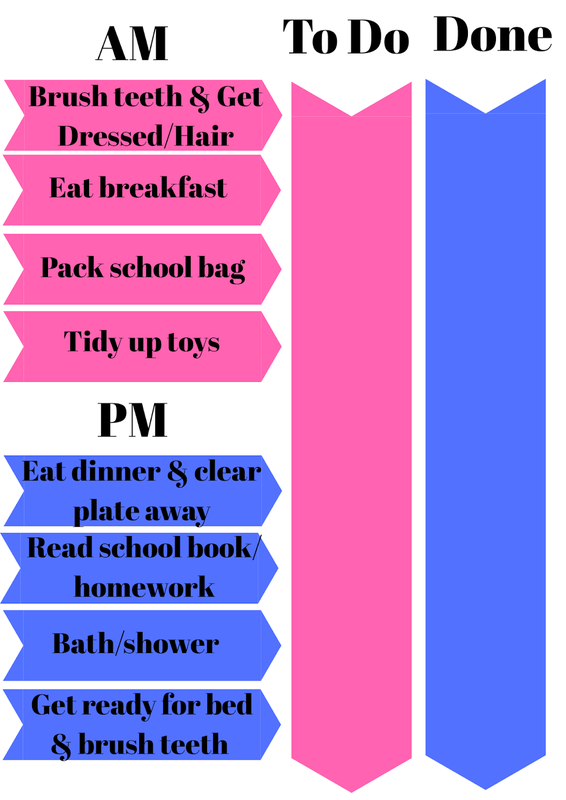 The left one will have little magnets to move over from To Do to Done, Its a really great system to help with routines, it has helped a lot already especially in the morning getting ready for school. 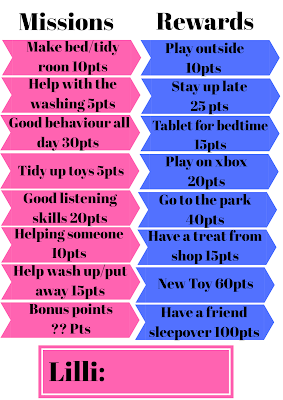 The second design is more of a points system, Lilli can earn points by doing chores, then she can choose rewards with those points such as go to the park or stay up late. This is a really great incentive for Lilli she finds it really exciting to get chores done to earn the reward she wants. It's proven really great so far. They're so easy to make and don't have to look great either! 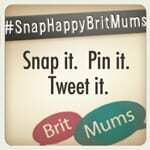 If you like these don't forget to PIN THEM on Pinterest by hovering over the images! Watch out for more great content soon! Nearly everyone has had at least one Date Night Failure in their lifetime, Whether they never see the person again on not its always funny to share it! 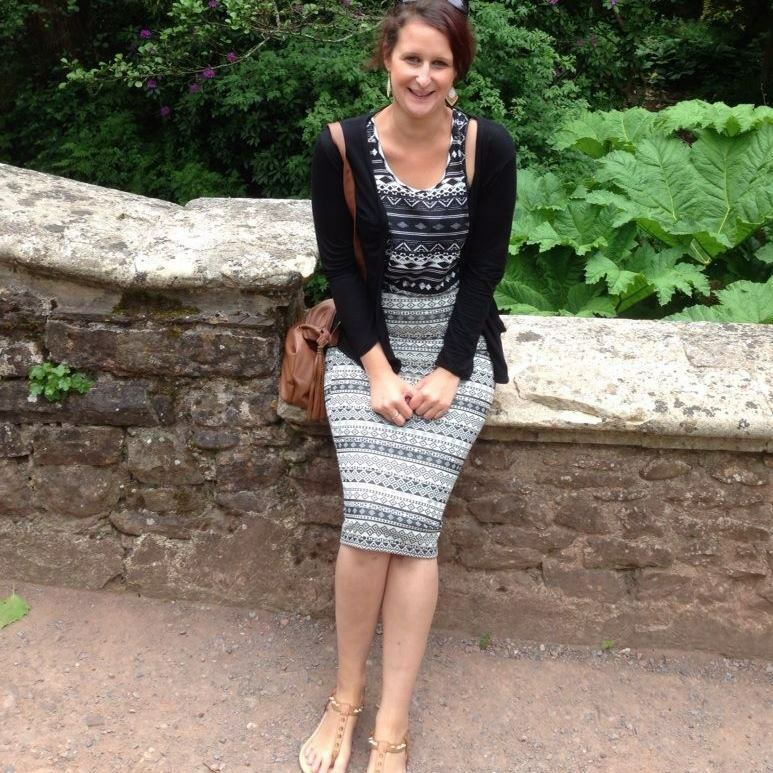 Today We Have Fiona From Savvy In Somerset Sharing Her Story. What was your worst date?My worse ever date actually happened on Valentine's day a few years ago. It started with me cooking a lovely meal for my boyfriend and ended with a lot of vomit and a call to 111. The date was with my then boyfriend, now husband. What made it a failure? For Valentine's day, I decided to cook my partner a really nice meal - it was actually one of his favorites, slow-cooked ribs and I spent all day checking the food and fussing as you do when you've not been together long and it's a special occasion. We ate dinner, the food was lovely and we snuggled up in bed to watch a movie. Then out of the blue, he got a migraine. The first stage of which, for him, is being violently sick. Cue him throwing up the ribs I'd spend all day lovingly preparing all over my bedroom floor. 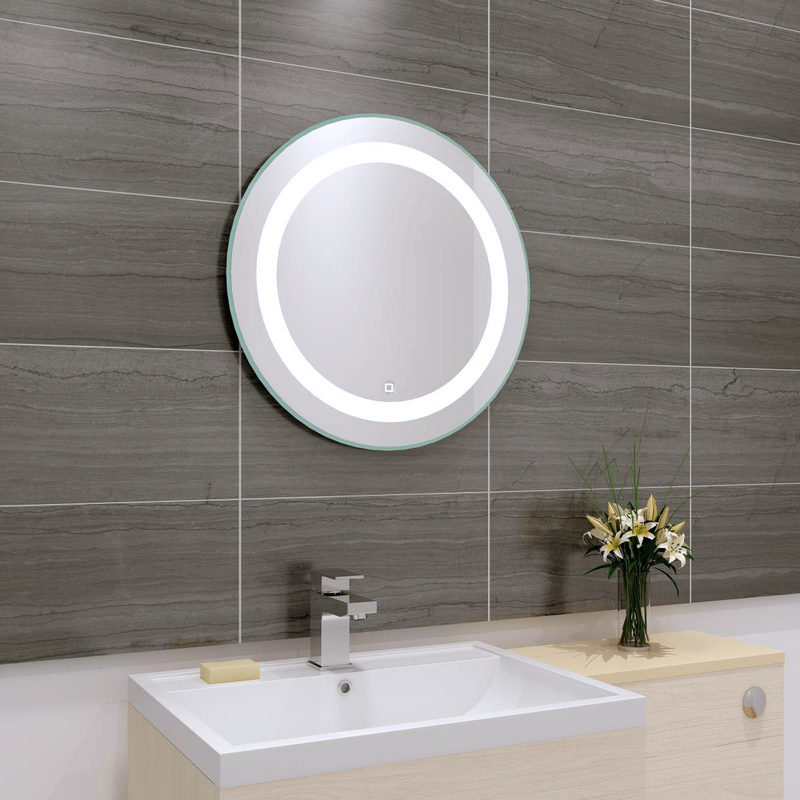 Like most people who suffer from migraines, he can't tolerate any light while he's unwell. At the time we were living at my parent's house while we saved up for a place of our own, so there wasn't anywhere else he could go and he was in so much pain he didn't want to move anyway. I cleaned up the sick the best I could in the dark. I then gave him what I thought was his emergency migraine medication. A few minutes later I realized I'd given him his daily migraine prevention meds instead. Ended up spending over an hour on the phone 111 trying to figure out if he needed an ambulance and whether he could have his emergency meds on top of whatI'd given. In the end, they decided his body could handle it a he's a quite a big guy but if he had any adverse reactions to phone an ambulance. Honestly felt like a right muppet. Did you see each other again? Would you? We stayed together and are now married with a baby daughter. 3 out of 10. Good food and company bad everything else. Have you had a failed date? Share yours in the comments below. So, as you may know, I tried the Exante diet recently and LOVED the results! I had messages from so many of you asking if they did a vegan range and unfortunately they hadnt...Until now!!!! The new vegan range can be found HERE, This new range has been formulated so that it can be enjoyed by both vegans and non-vegans alike. Rather than being milk-based, this new collection of shakes is plant-based, meaning that it is formulated using a soy protein. The new range is also gluten-free, making each of the four new shakes suitable for those with gluten intolerances. The shakes are formulated using our gluten-free oat base, which we also use to formulate our Low Sugar Smoothie Range! 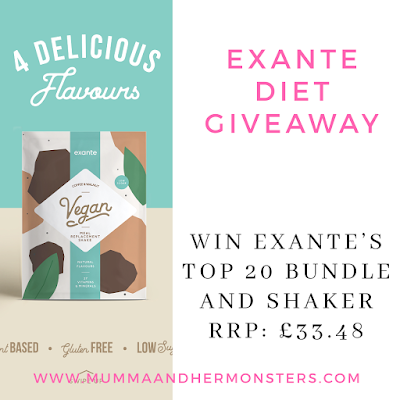 If you want to get your hands on some fantastic Exante shakes enter our GIVEAWAY below!! 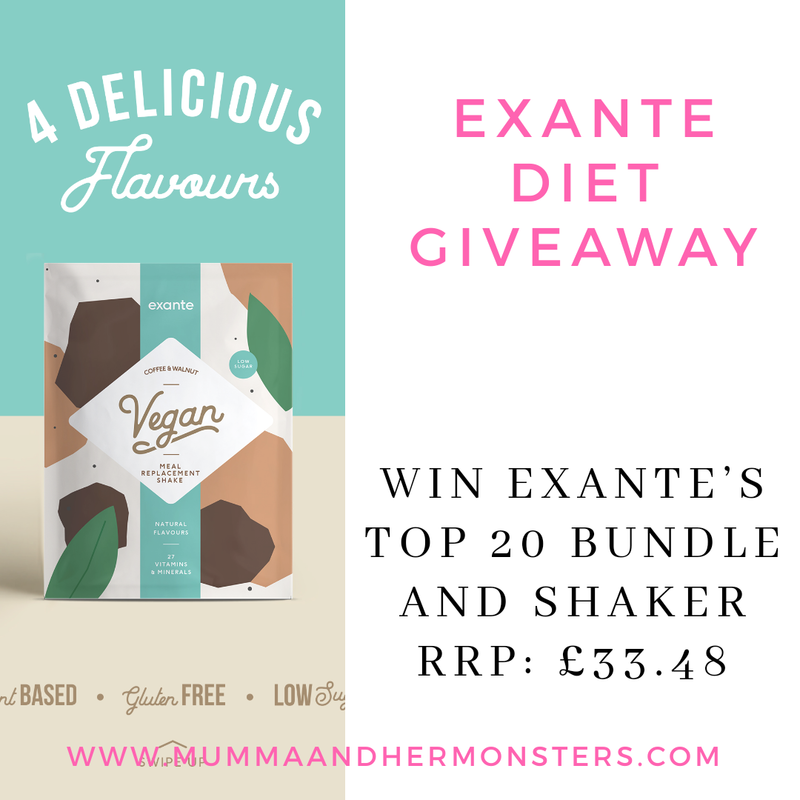 WIN Exante’s top 20 bundle and shaker, RRP £33.48 which includes Exante's top 10 shakes, 4 new vegan shakes, top 5 bars, and a pancakes sachet. Disclosure: This is a collaborative post with affiliate links. 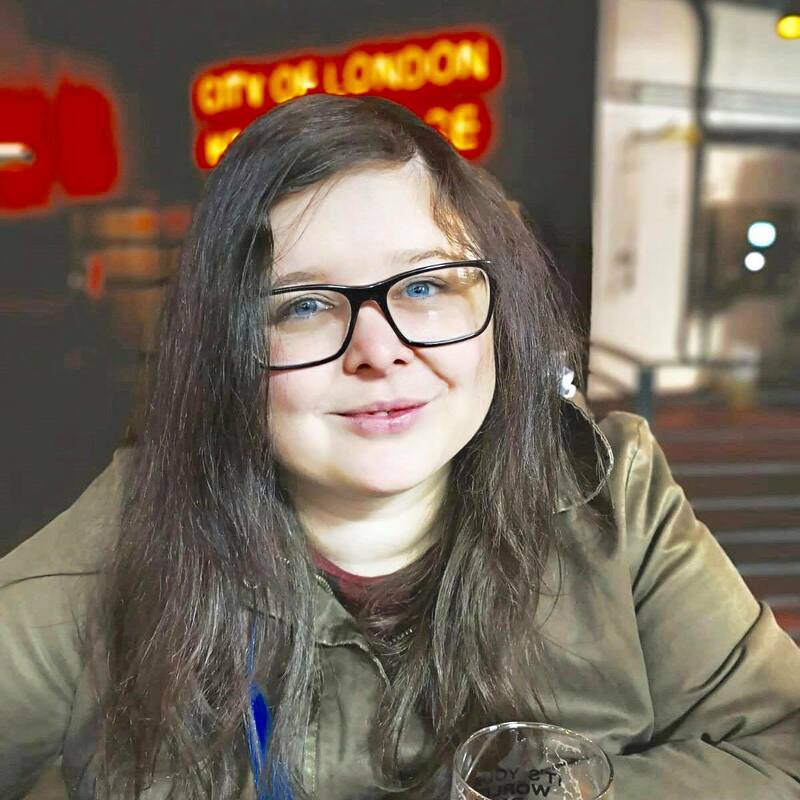 Today We Have Alice From In Sheffield Sharing Her Story. 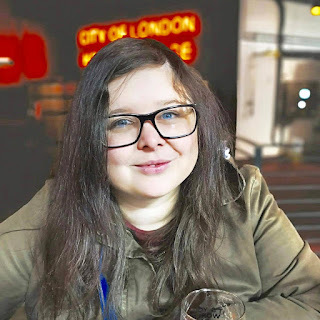 My worst date was a tinder date, after talking for about a week we decided to meet up in a local bar, I got there a little earlier and an older man was at the bar. After a while it seemed I’d been stood up, I sent a ranty text to my tinder date only for this guys phone to go off. What made it a failure?, Did anything embarrassing happen? Turns out he’d been using a picture of himself from about 10 years ago! And was the definitely mid-30s (I was 23 at the time). I asked why and he got really embarrassed about it all etc. But no I never did see him again or would want to. 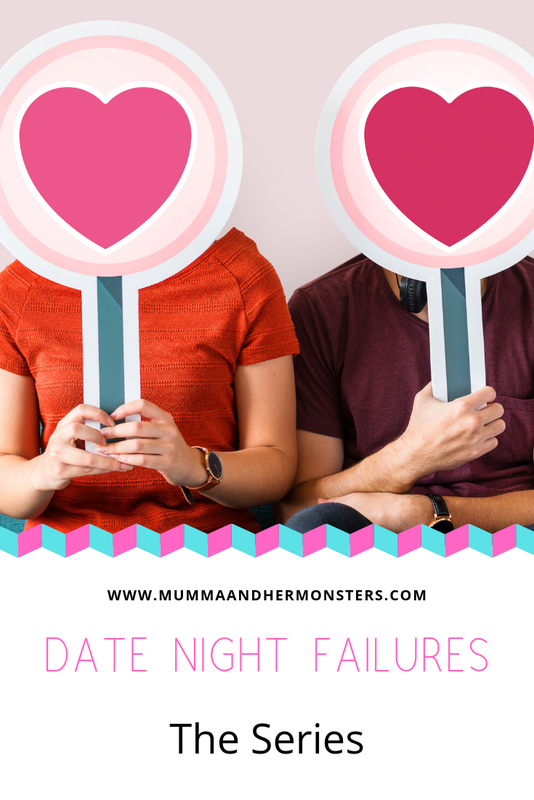 Have you had a failed date night? Share yours in the comments!! I recently lost a bit of weight on the Exante Diet and it was time to update my wardrobe and get some clothes that fit me properly. So my first choice was to go to https://www.simplybe.co.uk/ because I've bought clothes from there before, I got a bra from there a while back and it was my absolute favorite without a doubt. My first choice for new clothes were jeans, the staple of every wardrobe, well mine are big on me now and fell down quite a lot so they were a must! 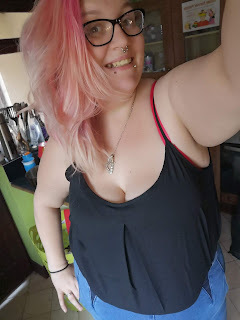 I picked the waist shaper jeggings (See Here) because they just looked amazing and I have to so say I was so right because they look amazing on too! They're so soft and they fit really comfortably too. 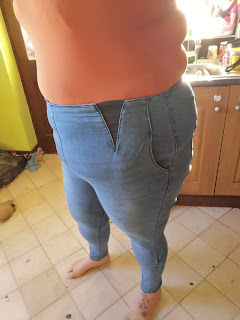 Next on my list to get were so linen trousers, I found a great pair that are partly elasticated at the waist and they fit like a glove, they are high waisted so very comfy for my mum-tum and have pockets too so that's a bonus!! The pattern is very eye catching and they're very flared so would be perfect with some sandals now it's getting warmer. 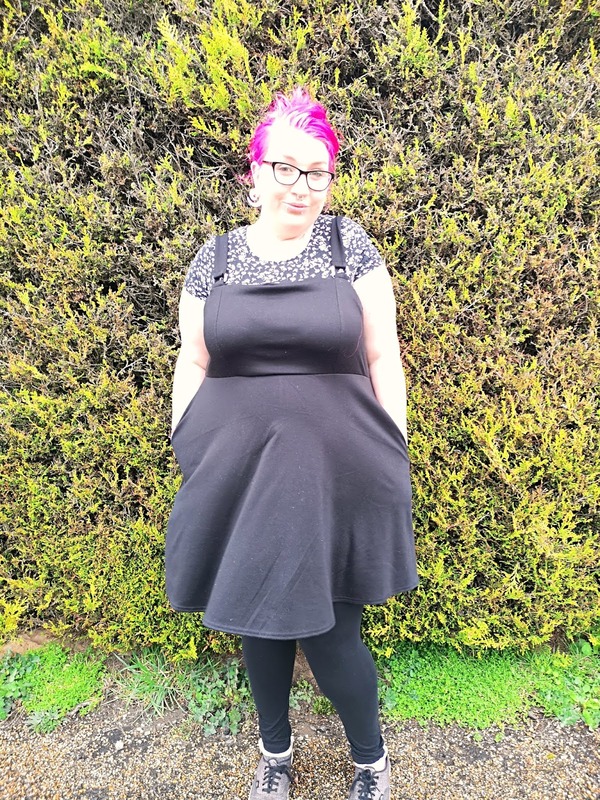 I then needed some tops, I found a two pack of really lovely tops in black and white, they have small straps and are very flowy and go perfect with the jeans I chose, the tops are really great quality and have a pleat in the middle for syle. they were so cheap and a great addition to any wardrobe. Lastly, I chose a new pinafore, I love wearing pinnies with tights and a long top underneath plus a nice long necklace as an extra accessory, this really fits lovely and has pockets too which I love!!! 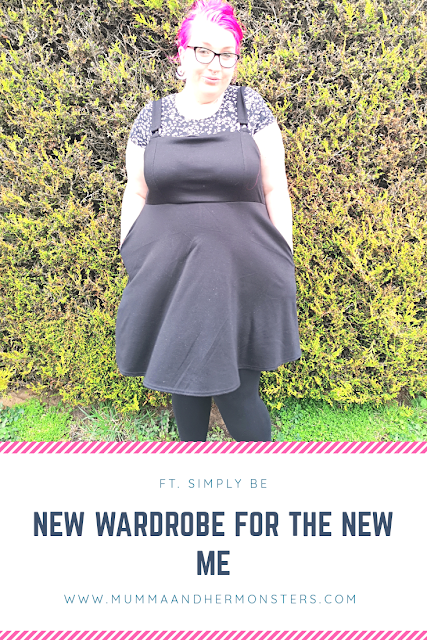 It comes in black from size 12 all the way to 32 and it compliments my shape so much its a stunning addition to my new wardrobe. All the items I chose are lovely and fit me so well I'm so pleased with my new choices and will definitely be buying more from Simply Be in the future! Disclosure: I received the clothes as a gift for review and my honest and own opinion. 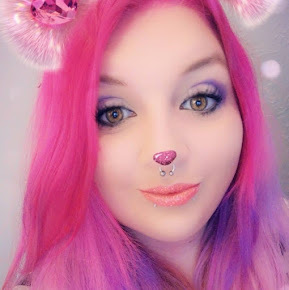 Today we have Jo from A Rose Tinted World sharing her experience. At the start of 2012, I had recently split with a long term boyfriend of 8 years. Having just turned 40, all my mates were in long term relationships or married. There was not going to be many ways that I would be meeting eligible guys. So I turned to online dating as a way of meeting that 'special someone’. I joined eHarmony, Match.com, and POF. I was determined if nothing else! Pretty soon messages came in, and I started to meet some of the guys that messaged me online. I actually had several really strange dates, but one of the funniest was with a bank manager from North Yorkshire. His profile looked promising. He had been married before, but he looked quite trim and youthful for his age. We seemed to have a lot in common so I decided to meet him in the center of town for a drink and perhaps dinner. Now I am only 5 foot 3, but when I turned up in my heels (which were not the highest) I was horrified to discover that he was shorter than me! His profile had said he was 5 foot 9. 5 foot 9 my arse! Furthermore, his profile photos were definitely from a much earlier time. I thought that he'd looked quite young in his profile. Not surprising seeing as I think he'd used photos from the previous decade! As we sat and had a drink, he started to tell me a little more about himself. Namely his very messy divorce and how he was trying to hide money from his ex-wife so she wouldn't get her hands on it. I was both horrified and agog. It was like listening to a real-life soap opera. Instead, I finished my (very lovely) meal. As did he. And when the bill came, I wasn't shocked to hear him exclaim at the price. But then he turned to me and said: "Well, you can pay half, considering you're a dentist”. Now, I would have happily offered. But that is no way to treat a lady. At the end of the night, we said our goodbyes, and I think I chuckled in the taxi all the way home at how horrendous it had been. He kept on sending me texts after that asking if we could meet up again. But no, he didn't make it to date number 2! My date gets a 3 out of 10, for pure entertainment value. My advice would definitely be to be picky when dating. Don't settle for anything less than the best because you are definitely worth it. But do remember, you may have to kiss a lot of frogs before you meet your prince or princess! I got a bit disheartened after a while, but finally met someone online in 2014 and now we have a lovely little girl. 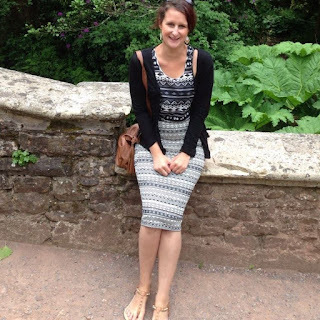 Today we have Jade From Mummies Waiting telling her story of her date night failure! What was your worst date? The first proper ‘date’ I had with my husband. Who was it with? (someone online, your partner?) At the time he was the boy I met in the park. We were chatting online (my friends didn’t like him, so that made me want to talk to him haha!) He posted a ’status’ on his MSN (get me old ’skewl’) which said ‘did you know you can go to prison for blogging’ I thought he was making a dig at my newly formed blog so I messaged him to start an argument. However we got on really well and ended up arranging a date. What made it a failure? He met up with his friend and brought his friend and his son with him. We went to Pizza Hut and at the end of the meal he paid for himself, his son and his friend, but didn’t pay for me. Later he decided he was going to sneak money into my bag! But then changed his mind. Also, to this day, he tells me that when we all ordered a sharing cookie dough for dessert I ate out all. I don’t believe I did, but hey if so, he can’t complain that I eat everything now can he?! He knew what he was getting himself in for! Did you see each other again? Would you? Well I married him, so I guess I would date him again! Rate your date 1-10 I’ll give him a 10… but just incase he reads this! Any advice? Just because a date seams bad, doesn’t;t necessarily mean they are bad. 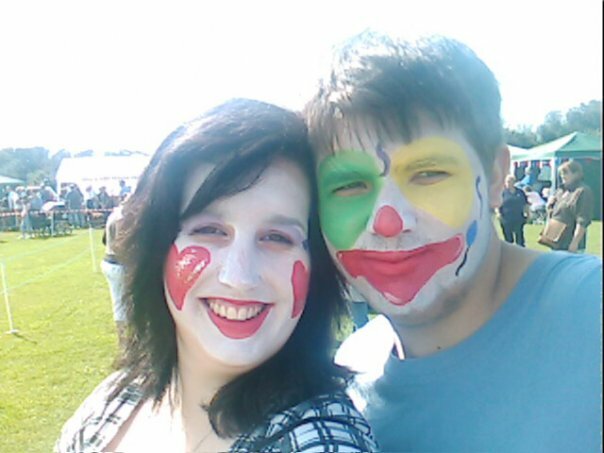 It could be a silly husband in disguise! I’ve attached two pictures. Then and Now. Have you ever broke a pair of glasses? I have, and the stress of fixing them is crazy! Those tiny little screws and you have to find that small screwdriver you got in the Christmas cracker from last year round your grandparent's house, then you spend ages trying to get that tiny screw in the slot and it's just so tricky that you give up! 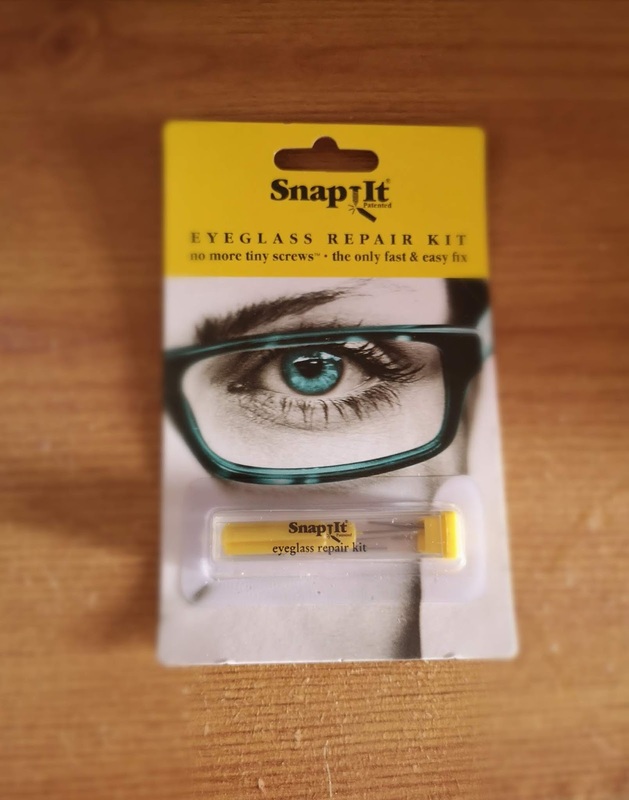 SnapIt has the solution, Snap-it Screws are 1.5cm long and have a small screw with a snappable end so you don't have to fiddle with those tiny ones. Simply insert the SnapIt screw (pictured above) and screw in with the provided screwdriver, tighten the screw and snap off the end, DONE! the kit makes it so incredibly easy to fox any pair of glasses in a matter of minutes. The SnapIt Kit comes with 5 screws of varying lengths & thickness in a small container to keep it all together and is compatible with over 99% of glasses & sunglasses. I found it really easy to use this kit and it literally took me less than a minute to do, its such a great price and will hopefully last a while (I'm quite clumsy with my glasses), I love the little tube it came in so I can keep it all together and keep it in the small compartment of my handbag. 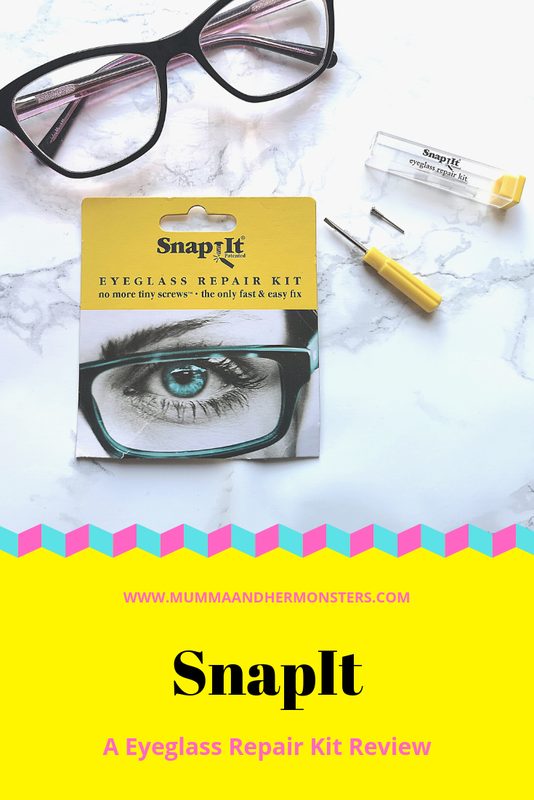 SnapIt kit is available to purchase on Amazon, It's really affordable and will cost you less than a grande mocha from costa! To get your hands on one for FREE enter the giveaway below. Drop It. Screw It. Snap It. Giveaway starts 13th March 2019 12:00AMGMT - 3rd April 2019 12:00PM GMT T&C's Apply, Open to UK Residents Only. Disclosure: This is a collaborative review and all opinions are my own.